Falling in love is a splendid thing. Here in the Zen Tiki Lounge we tend to fall for spirits in the rum category. 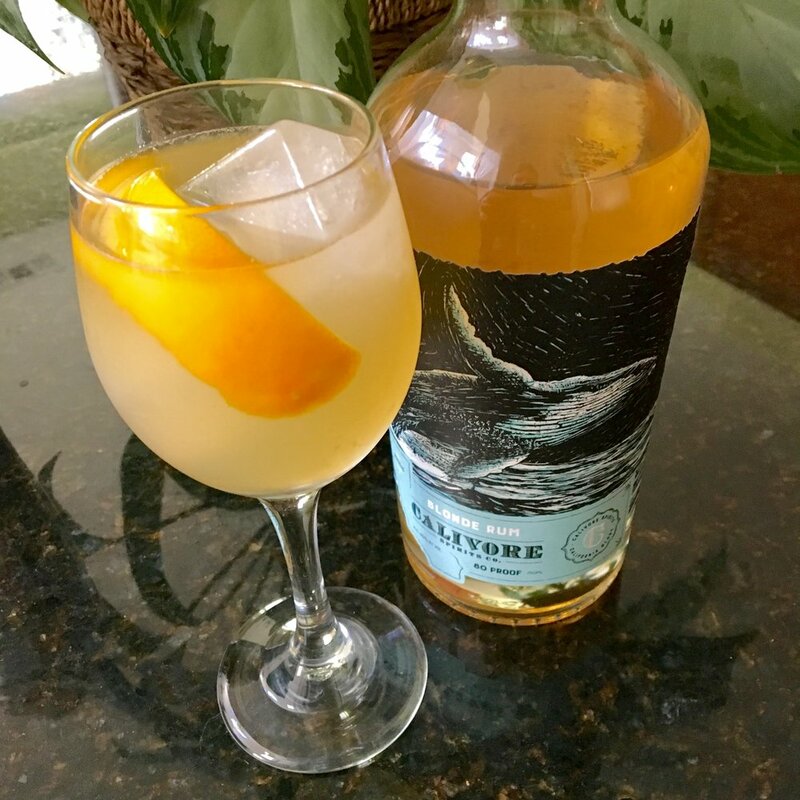 The current apple of our eye is a blonde rum from Calivore Spirits Co. Aged in chardonnay barrels this version of cane goodness is not what you are used to. 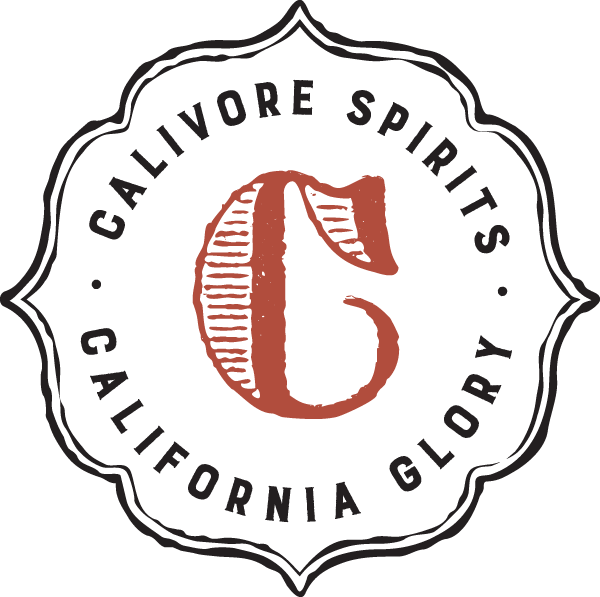 We recommend grabbing a bottle of Calivore at Whole Foods in Southern Ca and also Hi Times Wine Cellars in South Orange County. If you aren't nearby you may have to wait, but keep your eyes open. We mixed first in a classic lime daiquiri and Starshine quickly noticed that the white wine character stands out followed by honey and floral. Wow! Sunshine then mixed up a new cocktail of his own with passion fruit, honey, lemon and orange blossom. Try the our lime daiquiri recipe with Calivore: 2oz Calivore Blonde Rum, 1 oz fresh lime juice, 1 tablespoon dark brown sugar. Shake well with ice and strain over ice in a rocks glass. Sip slowly and notice the unique character the chardonnay barrel aging lends to this lovely rum. 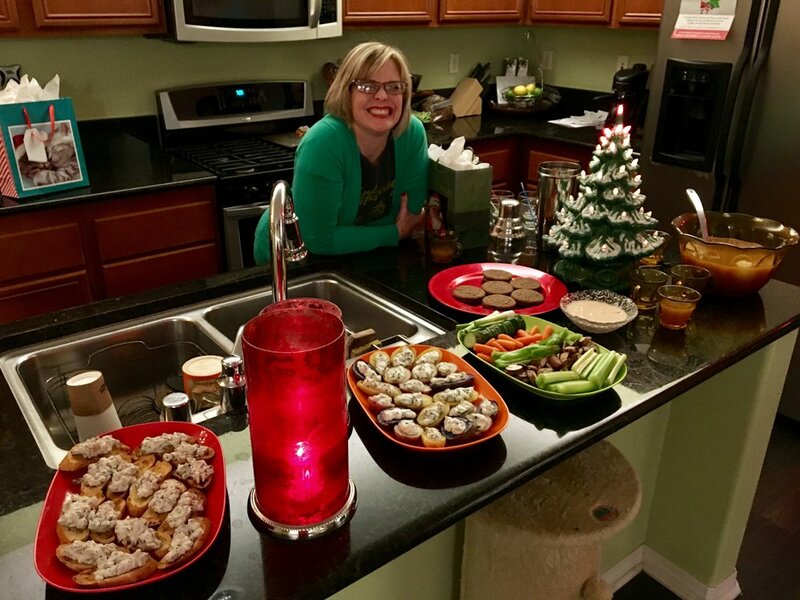 In response to a listener question we chat a little on this episode about cocktail appetizers and bar snacks. At ZTL we never record a show without something to munch on and most of us are fairly handy in the kitchen. However, there are many quick go to snacks you can whip up on a moments notice. Below Starshine shows off some quick and easy toasted sourdough platters with herbed cream cheese. Veggie platters you build yourself vs. the silly store bought are always good. Try using veggies you don't see on those store bought platters. Radishes, green onions, bell pepper, cucumber, jicama and mushrooms are all great additions to the standard carrots and celery. Whip out a dip packet and some sour cream or create your own did with just sour cream, salt, pepper and fresh chopped herbs like parsley, chive and cilantro. Also pictured is a vegan pu pu platter. We have many vegans that listen to the podcast and offering something for those who skip the meat is a nice option but never feel obligated. The frozen section of most grocery stores now offers meatless meat balls, sausages, chicken and other items that are perfect for adding to a platter with spicy dipping sauces. Korean BBQ sauce and Chinese hot mustard are most appropriate with a pu pu platter. Baked tofu, steamed mushrooms and roasted sweet potato are also nice additions that are filling. Join all of us from the ZTL podcast at Tiki Caliente this May. Four days of live music, tiki cocktails, room parties, artists, shopping, symposiums, mid century modern goodness and.....its in fabulous Palm Springs. Click above, rooms and wristbands go on sale to the general public on February 4th at 10am. We want to see you there! As mentioned on just about every episode of the ZTL podcast, we love Tiki Bar T-shirt Club. Get a new shirt each month that showcases an old tiki bar, restaurant or location that is no longer with us. Its like tiki bar archeology you can wear. Comfy cotton shirts for both men and women delivered right to your door. Try the club for 3 months, 6 mohths or 12, or just grab a single shirt. You will love them as much as we do. Cheers! See the pics scrolling by below? You know you do. Starshines husband the Senator from the Southern State aka joe_nacho has quite the little following on instagram. You can see his work there and now have these photos transformed into things you can wear and drink out of. Support the Senator and visit his page.